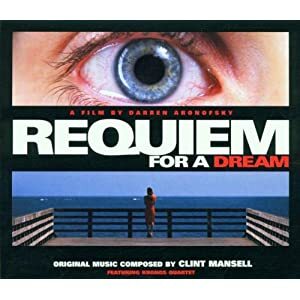 The pairing of Clint Mansell with Darren Aronofsky reminds me of Danny Elfman and Tim Burton, both pairs have directors who create their own world visually and require a musical genuis to birth a distinct new sound to accompany this world. This album is a mix of drug induced electronica trips and intense cello attacks that are an unmistakable pairing! Whether it is ambient or hard hitting it always stays on the darker side. I would say the only downside is that many of the tracks are very short, under two minutes. This is a very dark, very compelling soundtrack. For a fantasy game, some of the electronic sounds might be a BIT distracting, but in my opinion it can still work surprisingly well. Many of the tracks would fit right at home in a cyberpunk, or dark modern type game. A perfect fit for the World of Darkness.